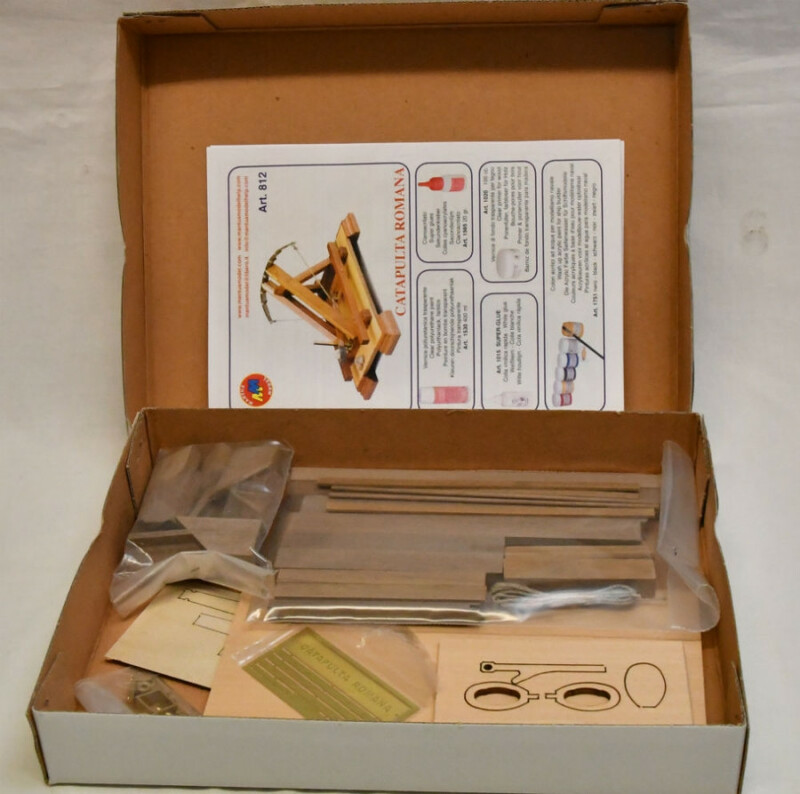 Mantua's range of period weapon kits all feature quality hardwood, complete with brass, metal and wood fittings. 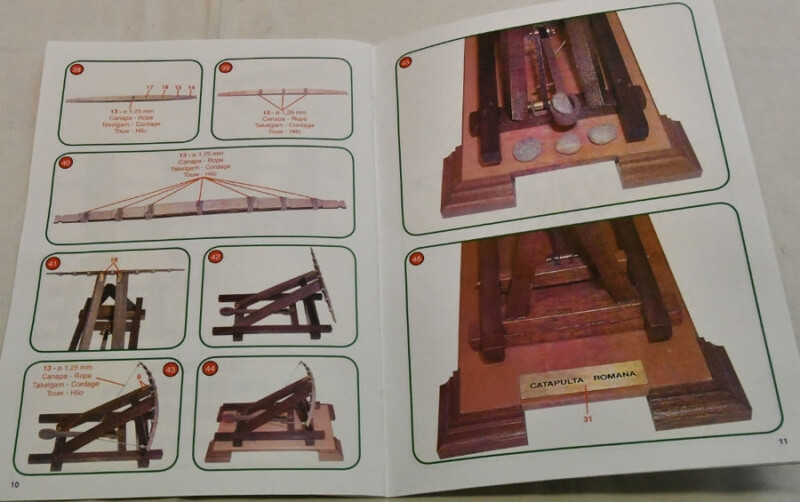 The wood is all laser cut for accurate assembly and the manual is clear and detailed with comprehensive illustrations. 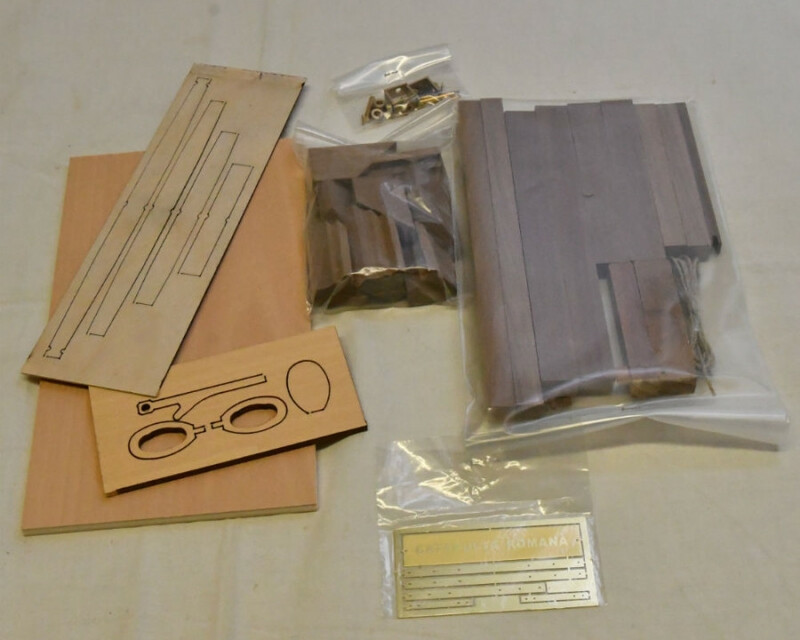 The kits are supplied with a wooden display base complete with a brass engraved nameplate. They make excellent display pieces and with some 18 models currently in the range there is surely something to interest everyone. 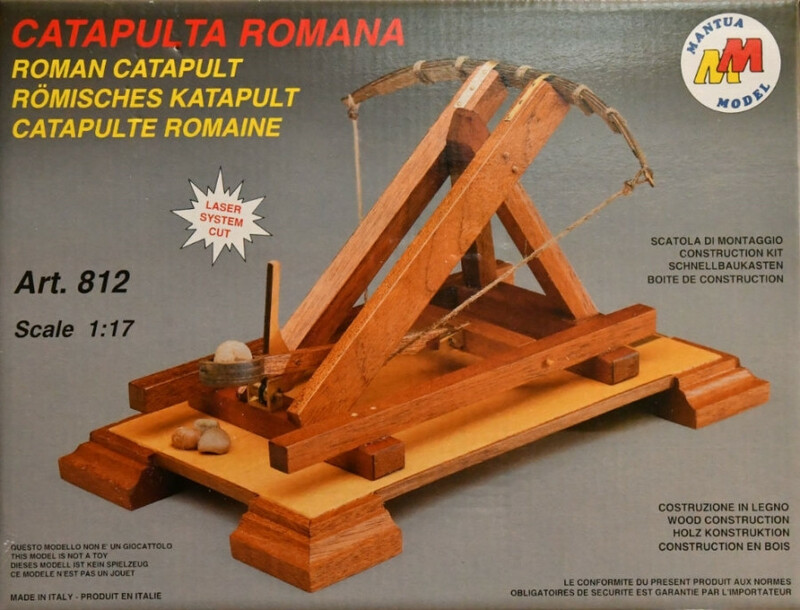 This is a 1st Century BC scale static display model kit of a Roman catapult that uses a simple launching arm based on the bow principle and was used for the capture and defence of towns and citadels. 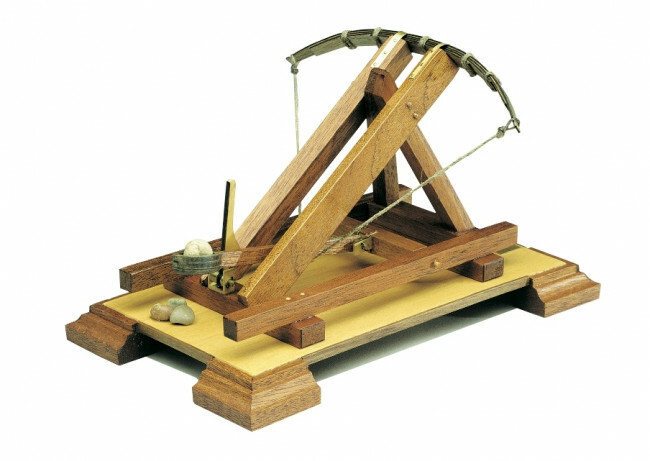 It launched stones or stone balls and was also used to launch sand in leather bags to blind soldiers and riders.